Before the start and after on the waters of Sydney Harbour (Port Jackson) from the deck of "Aussie Rebel" from the Cruising Yacht Club of Australia. Neville Crichton's "Alfa Romeo" fought for the lead to the Heads and all the way to Hobart. 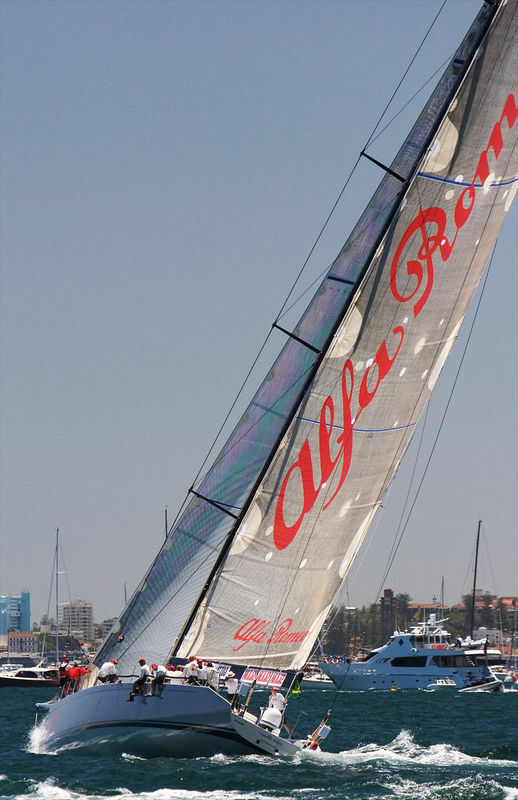 "Wild Oats" was the winning boat, taking Line and Handicap honours. RolexAlfa Romeo skippered by Neville CrichtonWild OatsHobart.